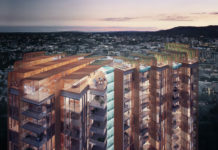 Lendlease has announced it has entered into a development agreement with Brisbane Racing Club (BRC) to develop an integrated retirement and aged care precinct in Ascot, Brisbane. Developed over five stages, the two-hectare development overlooking Doomben racecourse will include 300 independent living units, 108 full service high-care aged beds and resort style facilities including a café, restaurant, and a new bowls club. 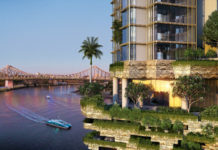 Tony Randello, Managing Director of Lendlease’s Retirement Living business, said the business was attracted to the site’s metropolitan location within seven kilometres of the Brisbane CBD, proximity to Royal Queensland Golf Course, Hamilton Wharf, Racecourse Road and the Brisbane International Airport. “The site provides an opportunity to develop a market leading, intergenerational retirement and aged care community adjacent to a renowned racecourse. “We’re excited to create a connected community where residents will have the utmost choice and opportunity to pursue an active lifestyle, being close to all essential health and community services, shopping and sporting facilities. 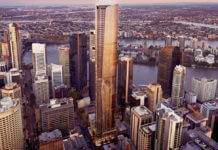 “We look forward to working in close consultation with BRC, local authorities and the local community to develop the master plan and respond to the ageing population of greater Brisbane,” said Mr Randello. The Chairman of Brisbane Racing Club, Neville Bell, said the project was another important step in the BRC’s $1.5 billion Master Plan. 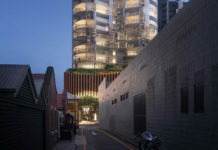 “The BRC is proud to partner with a company like Lendlease, which has a reputation for delivering high-quality projects especially in the retirement and aged care sector,” Mr Bell said. “This development agreement represents the next phase of the BRC Master Plan over our two racecourses. While we have been active in transforming the Eagle Farm precinct, this is the first project on the Doomben side of our Club. Lendlease participated in an expression of interest sales process to acquire the site, which is a 99-leasehold interest. The company has twelve retirement villages in Queensland, including two in Brisbane – Keperra Sanctuary, Keperra and The Terraces, Forest Lake. Well done all concerned. Big step for the sector too, and right leap for BRC. Congrats to LLC, BRC and Marchese for getting this development to market. Great leap for the sector all-in-all.